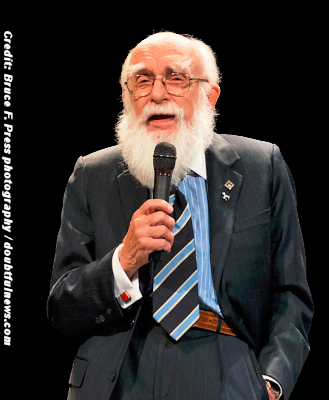 James “The Amazing” Randi, world-renowned magician and advocate for science-based skepticism, is stepping down from the Board of the James Randi Educational Foundation (JREF). In statements released today on the JREF website, Randi announced his retirement from the JREF, and the Board regretfully accepted it. This doesn’t mean that I’m retiring from my battle against the so-­called psychics, faith healers, paranormalists, and the assorted frauds I’ve encountered in my worldwide wanderings. I’ll in no way relax the critical attention I’ve given to them over the last busy 73 years, I promise you. "There is an Alien Invasion at The Museum of Discovery & Science in Fort Lauderdale"
Fraud, con artist and liar. Any proof or just a hater? My honest opinion of Randy. Sorry if I offend some people. But it's my opinion of him !